Microsoft is moving ahead with its plans to create an Xbox One subscription service that will go by the name of Xbox All Access. The plan includes a console, 24 months of Xbox Live Gold and 24 months of Xbox Game Pass for a flat monthly fee. Because both packages come with Xbox Live Gold and Game Pass, you’ll have over 100 titles to download from the moment you open the box and dozens more available to you for free over the next two years thanks to Microsoft’s Games with Gold program. The catch to this is that you’re signing a 24-month contract for the console and the deal is only available to “qualified customers”. 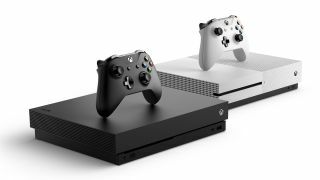 If you bow out before the contract is up, you’ll owe Microsoft the remainder of the cost for the system … which could be even more than if you had purchased the console and the services separately. The other potential hurdle is that you'll need to sign up for the deal in-person at a Microsoft Store where you'll need to apply for a Dell Preferred Account – basically the holder of the payment plan for the next 24 months. For gamers of a certain age, Microsoft's All Access pass is a great deal: You get a console and everything you need to play online for one affordable price. You don't have to plunk down a chunk of change upfront, and after two years the console looks like it will be yours to own. The problems here is that, very obviously, if you miss a payment, you'll end up paying a significant penalty. It's interest-free ... but only for 24 months. After that, the Dell Preferred Account plan can charge up to 29.99% APR. Even worse, if you decide to drop out of the plan after a month, you could be staring down at a bill of $800 in the case of the Xbox One X package – far more than you would've spent if you would've just bought the console outright. All that said, if you've got good credit and are willing to make the payments, Xbox All Access could be a solid deal. Could Xbox Scarlett follow a similar payment plan?